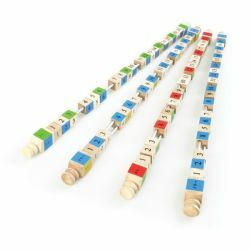 User-friendly, color-coded, big cold number blocks the display patterns and connections between multiples to help students learn and understand math. 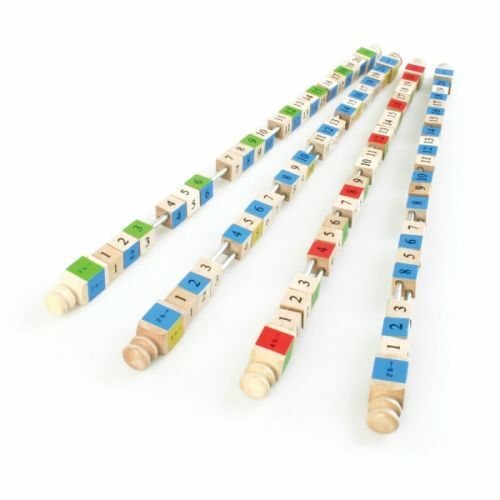 Great for teaching counting, multiples, addition, subtraction, greater than, and less than, multiplication, division, remainders, common denominators, prime numbers, and pattern recognition. Activity guide included. 4 Rods. Grades Kindergarten and up.